The UCLA division of geriatrics has received a three-year, $2.5 million grant from the Health Resources and Services Administration to enhance geriatric education, training and workforce development in Riverside County. The grant will fund a new partnership between UCLA, UC Riverside School of Medicine, Riverside County Regional Medical Center and the Riverside County Department of Public Social Services. Called the Program for Improving Care of Aging adults through Training and Education, or PICATE, the project is a collaboration among primary care clinics, community-based organizations and educational institutions throughout Riverside County. UCLA’s role will be to apply its clinical, educational and research expertise in geriatric medicine and aging health services to the development of new interprofessional curricula for students training in medical, nursing, social work and allied health fields, as well as lay caregivers in Riverside and surrounding counties. PICATE will also establish a program to address the needs of people with dementia and work to help prevent senior citizens from falling (a common problem that can lead to severe injuries). 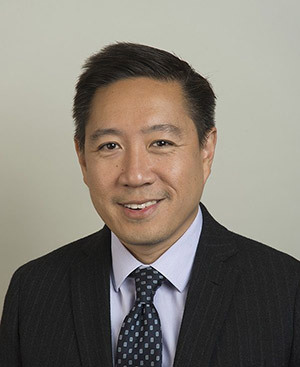 “The interventions for the cognition and mobility care management program will be modeled after the UCLA Alzheimer’s and Dementia Care program and the STRIDE falls prevention study,” said Dr. Zaldy Tan, associate professor of medicine, division of geriatrics, at the David Geffen School of Medicine at UCLA. Riverside County has a population of about 2.3 million, making it one of the most populous counties in the U.S., and it is roughly the size of the state of New Jersey. The grant from HRSA, an agency of the U.S. Department of Health and Human Services, is part of more than $35 million in awards going to 44 organizations in 29 states to support quality care for older Americans through the Geriatrics Workforce Enhancement Program, which aims to improve health care for older Americans. Health and Human Services Secretary Sylvia M. Burwell announced the awards July 13 at the White House Conference on Aging. Recipients identify the geriatrics education and training needs specific to their communities and develop programs that are tailored to those needs. In addition to UC Riverside School of Medicine, local education partners in this project include the schools of nursing at California Baptist University and Riverside City College. PICATE will integrate geriatrics into three primary care teaching clinics at Riverside County Regional Medical Center, which serves as the primary teaching hospital of the UC Riverside School of Medicine. The project will track outcomes for patients and their caregivers, including fall frequency and severity and dementia-related behavioral problems in patients, and stress and depression in caregivers. Clinical trainees in medicine, nursing, social work and other disciplines will participate in patient screening, care management, home visits and interprofessional education. The program will encourage patient and family engagement through online education and partnerships with community organizations. Caregiver training will be provided through In Home Supportive Services, particularly for people caring for seniors with dementia. In the second and third years, part of the work will be extended to the county’s Indian Health Service.